Professor Wyns specialises in female and male infertility problems. Her key areas of scientific interest include fertility preservation (cryopreservation). 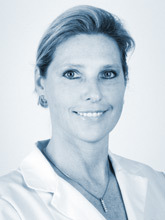 She is also an expert in andrology for the Public Health Institute.